Ruins around Ullapool indicate there have been settlements in the area for thousands of years. Viking settlers are said to have led to the village name (‘Ulla-Bolstadr’ meaning ‘Ulla's steading’). 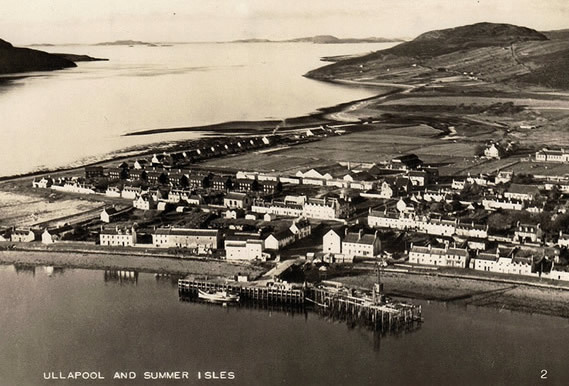 In the 1700s the British Fisheries Society commisioned Thomas Telford to design 'modern' Ullapool as a fishing port and this brought in business and settlers. Fishing remains an important, local boats fish for prawn (langoustine), east coast and Spanish boats land white fish. The ferry to Lewis is a key link and we luxury cruise liners regulary dock here. Tourism is important to the village and people visit or stop over throughout the year and there is a buzz about the village in summer. 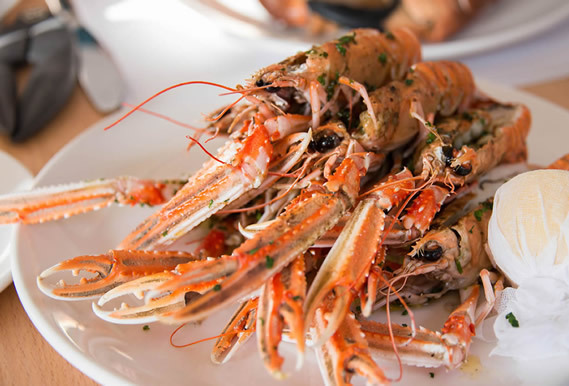 Amazing seafood lands at Ullapool and can be sampled in the local bars and restaurants. We also have amazing marine life that tour boats take people out to see including whales, dolphin porpoise and sea eagles. Lochbroom is part of the Wester Ross Marine Protected Area. 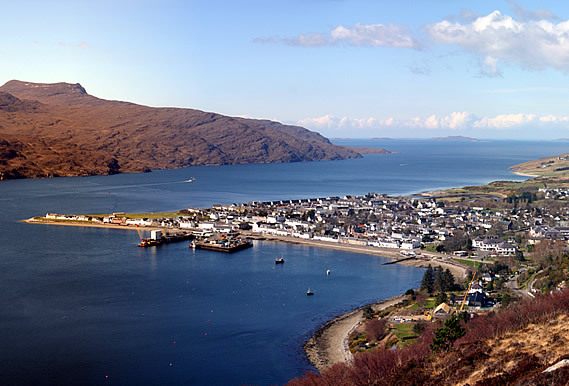 Ullapool hosts a number of festivals: a book festival, guitar festival, beer festival and Loopallu music fstival. 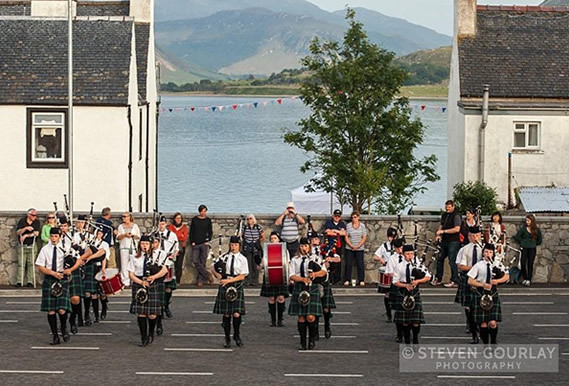 Bands play in local bars and our pipeband play the streets in summer. We also have a number of galleries and resident artists as well as the Highland Stoneware Pottery. Copyright 2018 Broomfield Holiday Park. All Rights Reserved.